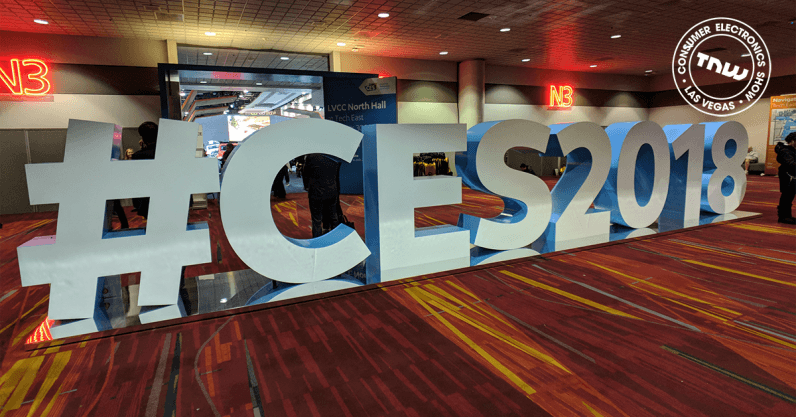 Do we still need CES? As the lights went down on the CES showroom I found myself snickering at the irony. In an event meant to showcase the latest and greatest, no amount of innovation could overcome the failure of a technology first harnessed in the 1800s: electricity. The once-crowded showroom was reduced to a near-dystopian landscape with empty booths, no lights, and an almost eerie sense of calm. For about an hour, the Consumer Electronics Show might as well have featured rotary telephones and steam engines. And then it hit me: what if the lights didn’t come back on? Would it matter? Does the tech world still need CES? Since the 1970s, Las Vegas has played host to an event meant to showcase the most bleeding edge technology, tech that first appeared in January in front of thousands who paid a small fortune to see what came next. Products unveiled at CES often hit store shelves later in the year or sometimes the year following. It provided a reason to show up for those in attendance, a group that got to witness the latest in technological achievement months or years before the general public. That’s not the case anymore. Now we’re seeing products from months or years earlier, many of which launched at other events. Even the non-convention center showcases — like Digital Experience and Showstoppers that often feature smaller vendors not quite ready for primetime — are littered with companies displaying wares we first saw at the very same event two or three years earlier. We’ve reversed course somewhere along the way. CES no longer offers the latest and greatest. It’s now just an annual trip to Vegas that we all suffer through while telling ourselves that this year will be different. In fairness, it’s not completely devoid of show-stopping moments (like Intel’s drone demo in the above tweet). A handful of companies take the show seriously and dazzle. Many more, unfortunately, showcase last year’s product lines, clones of existing items, or complete vaporware, like Laundroid. I first came across Laundroid two years ago at CES. The demo was sketchy, and I raised some concerns that the product might not be as far long as the exhibitors would have us believe. After dropping laundry into a black box, the team pulled folded t-shirts out a few moments later. The demo was fishy, to put it mildly. This year, The Verge pushed the issue and attempted to bring their own laundry for Laundroid to fold. It failed miserably by proving it was incapable of folding a single t-shirt. Three years at CES, one product that we still can’t be sure works. And it’s $16,000 to boot. I wish I could say this was an isolated incident. Las Vegas seems to have reached its own level of fatigue with its largest event. In some regards, Vegas is beginning to show its age. Real questions remain about whether the city can still handle the influx of 200,000 weary journalists, buyers, and analysts who descend on its streets each January. With crowds creating bottlenecks in integral parts of the city, event-goers can’t move more than a mile or two in less than 30 minutes — double that when there’s a taxi or Uber line to contend with. Triple it when leaving the convention center to head to other official CES events at hotels like The Venetian or Palazzo. You’d think this would be good news for some Vegas residents. Taxis, Uber, and Lyft drivers stand to profit handsomely from the flood of non-residents needing to get from one part of town to the other. Yet when asked, I couldn’t find a single taxi, Uber, or Lyft driver that said they enjoy this time of year. Even the promise of an un-ending number of fares, it seems, can’t ease the pain of shuttling some of the most insufferable people on the planet from Point A to Point B. Ditto for police, hotel employees, and event staff. I must have asked two dozen Vegas residents what they thought of CES and most seemed to offer the same feedback: it’s hell. Then there’s public transport. The monorail that connects multiple hotels on the strip to the Las Vegas Convention Center becomes nothing more than window dressing during peak hours. It’s nice to look at, but it’s about as useful as a fork with a bowl of tomato soup. Even the convention center itself seems to be rejecting the idea of holding future events. Multiple power outages, non-existent Wi-Fi or LTE inside, and a body of water born of what used to be the Google booth suggests maybe the center of the tech world, at least for a week in January, is in full-on revolt.